Easy bro, hope your good fam. So let’s start at the beginning. When did you get into Hip-Hop and how long have you been dropping mixtapes? First off thanks for the continued support Tricksta, it means a lot. Id say it all started at college 1999 when I was passed some DMX albums I would say that’s what ignited the fire and got me hungry to do more with it but was just a case of what and then I was passed some DJ Clue mixtapes on cassette and that got the cogs turning even more. After a few years of Westwood albums and see what he did it kind of gave me the urge to do something new and of course I discovered MySpace and dropped my first album Raw Talent Vol 1 which kind of flopped financial wise but I reaped other benefits such as getting my foot in the door with certain companies and artists but it gave me the hunger to progress and do more and see what I could do from it. I’d say I’ve been dropping tapes around 3 – 4 years now. Tell us about some of the US rappers you have worked with and what you consider to be your best releases and why. That’s a tough because I’ve worked with some many and came across so many talented artists and if I picked one I know it would cause politics with some artists haha. But I don’t work with untalented artists so I see everyone as a stepping stone in there career and another brick in my building my foundation. Here in the UK you’ve hosted tapes for loads of people. For those in the UK that have been sleeping, tell us what UK tapes you have dropped in the last year. Quite a few really just to a name a few Pound Sterling, Sway, Malik, USG, ILKO, Rain, Tusche De Costa, Stinga D, All Notts & Manchester tapes with J-Lounge, Kid Pest, Fonzo, Downside, Precha and Rukus. The mixtape game changes all the time and evolves so quickly. How are you seeing the mixtape game at the moment and how’s Hip-Hop treating you?! Change is good but you get some DJs under cutting us for poor work just cos they have a pc and windows media player so that kind of ruins things Music wise thou its strong and you have new artists coming through with genuine talent of course you get some artists in the spotlight that are terrible but hey that’s just how the industry works and money talks and can make anyone famous. So apart from the mixtapes do you ever play in clubs or on the radio? I was on radio but stopped for a while and the same with clubs so it’s something I’m getting back into within the next few months to strengthen myself as a DJ. Have you ever thought of getting into production? I have yes but I get very lazy and need a good kick up the arse to do it. I have all the equipment and software thou so very soon. If an artist reading this wanted to get you to host or mix their tape what would they do and what are the costs? The best thing is to just check my website www.djamesuk.co.uk as it gives you a breakdown on prices and packages as I do 3 packages with 3 different prices ($500, $750 and $1000) prices do vary thou with me being in both markets and the currencies of course so its just best to contact me with questions and quotes as I will work to someone’s budget. A lot of DJ’s are part of syndicates, are you involved in any mixtape crews? Not currently I was in the past but moved away from it. Do you have a website with all your mixtapes on that people can check? Anything you want to say before you go bro? Once again shouts to yourself Tricksta for the continued support. Shouts to J-Lounge, LAD & AMG / Embassy ENT, Hood Celebs, Moka Blast & Narccisst ENT and anyone I have worked with in the past 3 – 4 years. Give us all your web links! Right then here’s the sales pitch… lol!!! 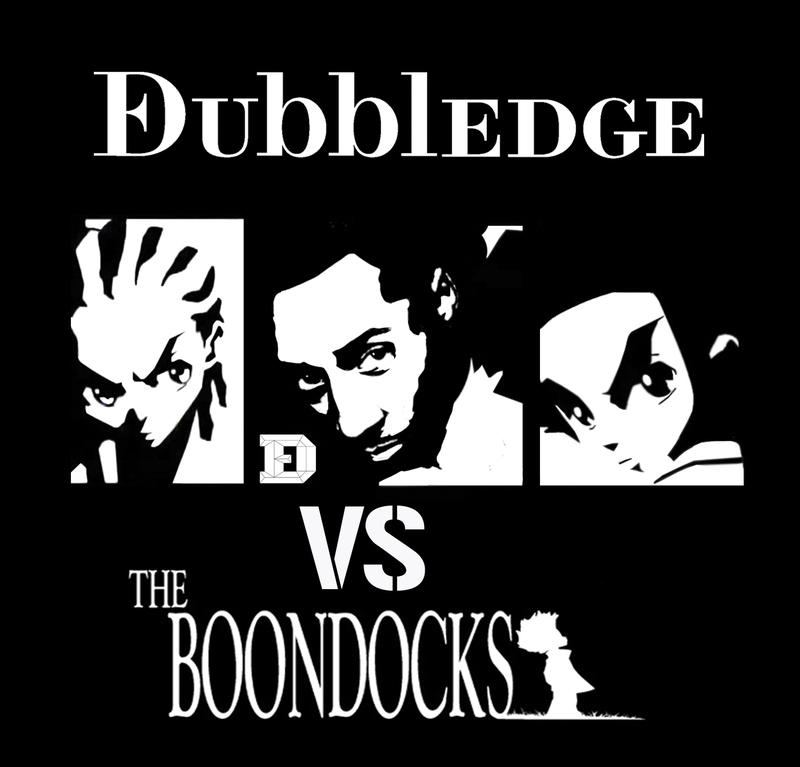 The f***in fantastic Dubbledge vs The Boondocks!! It’s a cheeky concept album that cleverly weaves Dubbledges intelligence, charisma and wit with the hilarious and often poignant antics of The Boondocks animated series. Comparable to some of Prince Pauls early productions, the album is an intelligent mixture of banging theme riddled tracks and clever skits that bring the whole project together like 2 dogs stuck. Making of a Slave [click to see the vid] is a great example as Dubbledge cleverly lays down a narrative based on the 1712 Willie Lynch letter placing the listener slap bang in the middle of a genocide riddled plot to exploit an entire race. Then theres This Track Dont Need to Rhyme, in which he steps outside of the regular 16 bar rythmical format managing to convince the listener he’s rhyming when in fact the song contains no actual rhythmic lines what so ever. The whole album is driven by some of the countries best producers including Chase & Status, DJ IQ [Professor Green], Metabeats, Ben Grymm, LG and GhosTTown, plus guest vocals from TB, Willo Wispa, Dabbla [LDZ], R Kelly, Uncle Ruckus & Samuel L jackson!!!!! 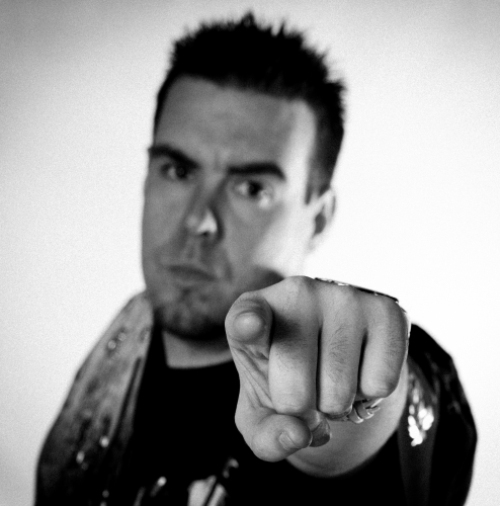 There’s only one man that could do that and get away with it – well probably a couple more but this is better. Genesis Elijah… In his front room…..Rapping! Well we didnt that this coming! Mmmm…. dunno how we feel about this! lol.